Introducing an exciting new voice in Australian literary crime fiction. For fans of Peter Temple, Garry Disher, and Scott Turow. 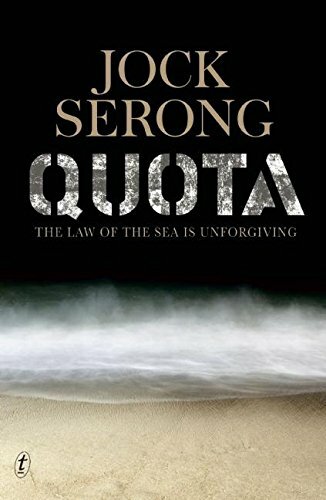 Quota is an evocative and gritty thriller that takes the reader deep into the underbelly of small town Australia. Inspired by his own work as an attorney, Jock Serong has written one of the most original and gripping crime novels of the year. A small town fisherman is murdered. Disgraced city lawyer Charlie Jardim is sent to coerce a troubled witness into testifying. The victim was involved in the illegal abalone trade and the even more illegal drug trade. And witnesses aren't talking. As Charlie delves deeper he realizes the rules of the city courtroom mean nothing amidst small town secrets and loyalties. Jock Serong lives and works on the far southwest coast of Victoria. He worked for many years as an attorney and is now the editor ofGreat Ocean Quarterly. Quota is his first novel.